As a property owner in Dalkeith, keeping your landscape groomed may be one of your highest priorities. The health and appearance of your trees play an integral role in maintaining your property. 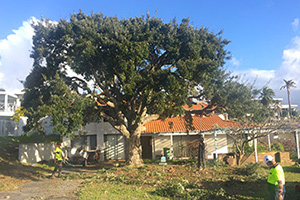 The problem that many property owners have, however, is that tree pruning or removal can hold the risk of causing personal injury or damage to your property. You may also not have the proper equipment to conduct various tree maintenance work. For these reasons, it is safer and, in the long run, financially beneficial, to leave these jobs to the professionals. 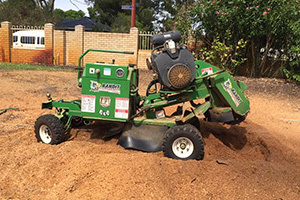 Perth Arbor Services can take care of all your tree related needs. Keep reading to learn more. Have questions about Tree Lopping Dalkeith? 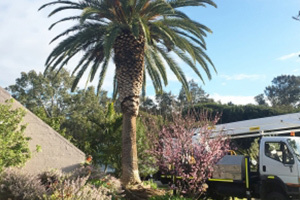 Since the team at Pert Arbor Services holds degrees in Arboriculture from Murdoch and extensive experience in dealing with trees on residential and commercial properties, we can provide you with high-end tree lopping and removal services. 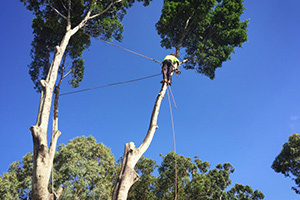 Since 2011, Perth Arbor Services have been providing a wide range of professional tree-related services. We focus on meeting our clients’ individual needs, ensuring the health of trees as well as their ecosystems, and conserving natural resources. When it comes to tree landscaping, pruning, lopping, and removal, you need the services of expert tree surgeons. Do you have problems with trees on your property? Find out more about our services below. Tree lopping involves the indiscriminate cutting of major branches from your tree to reduce its size. Lopping is not the same as careful pruning and thinning to help a tree survive. 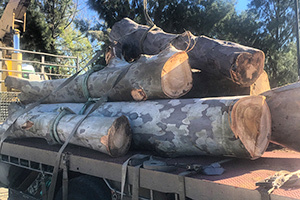 Tree lopping can be inherently risky to a tree’s health, and it is essential that you only use professional services to reduce the size of your tree. After lopping, the tree may not have enough leaves to photosynthesize, and it can become more vulnerable to pests and decay. 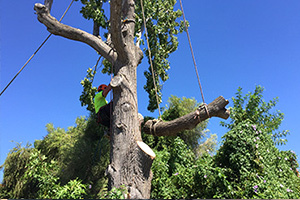 Perth Arbor Services conduct all lopping services in a manner that ensures the health of trees. In addition to tree lopping and pruning, we can also remove trees and clear your land entirely from shrubs and bushes. Before we start with a removal project, we take precautionary measures to eliminate the risk of damage to your property completely. When we conduct a tree risk assessment at your property, we determine how likely an event is to happen, and what are the consequences if an incident does occur. After conducting a thorough tree risk assessment, we will provide you with a report with recommendations of how you should go about to mitigate any tree-related risks on your property. Trees can be your property’s most significant source of value and aesthetic appeal. Unfortunately, trees can also be problematic and carry the risk of damage or personal injury. If you need high-end tree solutions, Perth Arbor Services can help. We service the entire Dalkeith, and we can help you too.